Karuna® Reiki presents wonderful possibilities for our lives, but to follow this path we must make a choice. In order to fully enjoy the benefits of Karuna® Reiki, we must be willing to let go of old ways of being. So often we approach life and its responsibilities with a sense of struggle. Out of fear we assume that we must diligently focus on our worries including being ready to defend ourselves against those who we imagine oppose us. Yet, the reality is that most of our worries are based on false beliefs. They usually never happen, so our energy is dwindled away by needless worry. At other times, because we believe they are real, without knowing it, we actually create that which we fear or make existing situations worse. This leaves us in a far less resourceful state and reduces our ability to create the happy, healthy life we really want to have. This way of thinking has become so habitual that many think there are no alternatives. There IS a better way. Karuna Reiki® is an energy that can lift us up to a higher understanding and a healthier way of living our lives. This wonderful energy is filled with compassion and its intention is to heal. It is all around us and all we need to do is to be open to it and invite it in for it to begin its loving work in our lives. Karuna Reiki® is also a spiritual quality that grows bigger as we move along on our spiritual path. It is the power of love and is felt in the heart. It assists us to joyously reach out to assist others. It releases fear, doubt and worry and fills us with peace, compassion and grace. It lets us know we are not alone. With this comes an infinite feeling of self-worth and a new way of BEing in the world. 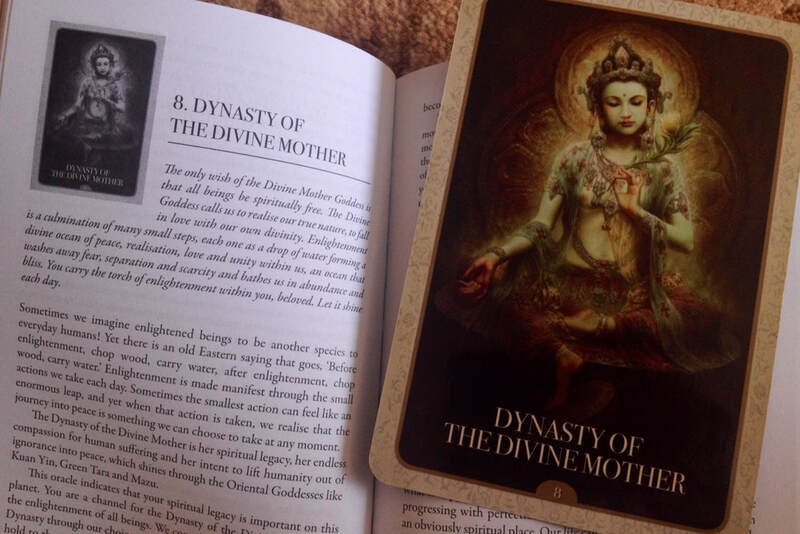 This Reiki session includes an intuitive card reading using the Kuan Yin Oracle cards. Kuan Yin is the Goddess of Compassion.